BrandCANBE™ – Purpose, people and profit. The most successful businesses in the future will be the ones that have the greatest focus on increasing the wellbeing of staff, customers, communities and the world at large. After all that’s what business is about isn’t it? Solving problems and making the world a better place. Purpose, people and profit. Services to help improve brand and marketing performance. Improveon builds brands that want to make the world a better place. We help start ups through to medium size enterprises like you who require external expertise and experience. Services are delivered around the unique BrandCANBE™ approach bringing together the latest thinking from the worlds of wellbeing, behavioural economics, neuroscience, employee engagement and branding. We’ll help you and your brand to achieve more. 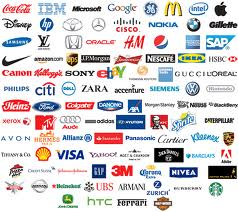 With experience of working for FTSE100 and SME brands Improveon services are independent and flexible. We understand that the way customers perceive your business will be a reflection of the positive difference it makes to their lives and how your people deliver. As a result our work focuses on helping employees engage in your brand through improving their wellbeing and communicating the positive difference your business makes externally. We have access to literally thousands of designers across the globe or alternatively we can work with your existing agency to provide an independent and challenging perspective. We’ll provide services on a consultancy or coaching basis, or anywhere in between. We can do the work for you or help train up your staff to take it on themselves. Whether you’re a start up or established business you’ll be ambitious and forward thinking. You’ll believe in the relationship between purpose, people and profit or at least be open to being convinced! Book a free introductory consultation using the contact / schedule button. Alternatively please email info@improveon.co.uk, call 07753 430 557 or complete your details on the contact page and we’ll get back to you as soon as we can.